Alexandria leaders reject the notion that Amazon's move to Northern Virginia will tangle up traffic. "We are focusing on ways to keep people moving in lots of different ways to get people around and we know we're going to be able to do that," said Alexandria Director of Transportation and Environmental Services Yon Lambert. WASHINGTON — Alexandria city leaders are promising that Amazon’s move to Crystal City and Virginia Tech’s plan to build a high-tech campus in Alexandria will produce an economic boom, not a traffic nightmare. “We are focusing on ways to keep people moving in lots of different ways to get people around and we know we’re going to be able to do that,” said Alexandria Director of Transportation and Environmental Services Yon Lambert. “The economic impact on Northern Virginia with 25,000 jobs — high-paying, high-tech, highly educated jobs is terrific,” said Alexandria City Manager Mark Jinks. “While Arlington got the offices of Amazon, we’ll get the economic spinoff and probably, most importantly, we got something that we’ve been talking about for a long time and that’s a higher-end campus located in the city,” he said. At an hourlong information session Monday night, Alexandria leaders said many residents have voiced concerns about increased traffic since learning last week that Amazon and Virginia Tech will move into the newly-named area of National Landing, which includes parts of Crystal City, Pentagon City and Potomac Yard. The city leaders reject the notion that Amazon will add 25,000 people who will tangle up traffic. “They’re actually bringing 25,000 workers into a community that has lost 25,000 workers over the last decade … workers for whom we have already built new transit opportunities to able to move around our region,” said Lambert. The Crystal City area lost thousands of jobs as part of the military’s Base Realignment and Closure process. 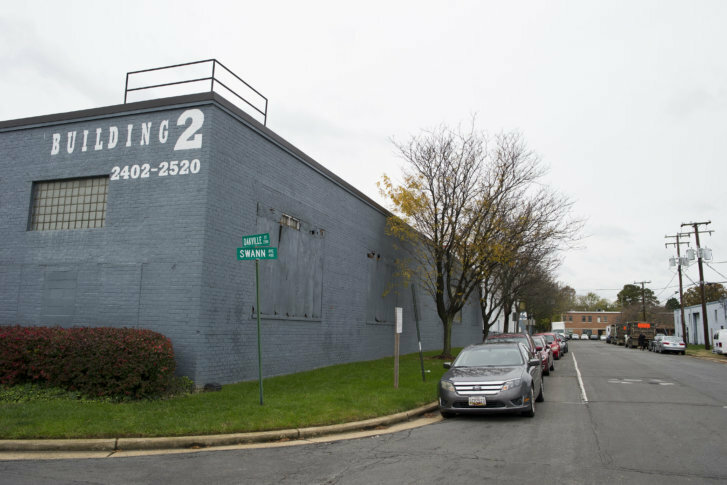 Crystal City’s dominant commercial real estate owner, JBG Smith, see the Amazon move as a game-changer for the area. Lambert said planners expect up to 75 percent of those in the National Landing area will get around without cars, instead using Metro, bus rapid transit, bicycles and walking. Based on those estimates, Amazon plans to provide only one parking space for every six workers in Crystal City. The state has promised $50 million to add a south entrance to the new Potomac Yard Metro station. There are intersection improvements planned, and investments will be made in intelligent transportation systems for traffic lights, in an effort to keep traffic flowing.